A University of Maine Marine Scientist is cautioning Atlantic Canadian groups hoping to get into the "tricky" business of sea urchin aquaculture. University of Maine's Robert Steneck says farm-raising sea urchins is "tricky." (University of Maine)A University of Maine Marine Scientist is cautioning Atlantic Canadian groups hoping to get into the "tricky" business of sea urchin aquaculture. Sea urchin farming research is underway in several countries including the US, Norway, Chile, and Canada. It follows the collapse due to over fishing of wild stocks in many parts of the world. A land-based sea urchin aquaculture operation by Quoddy Savour Seafood Ltd of Pennfield, New Brunswick has just received environmental approval. 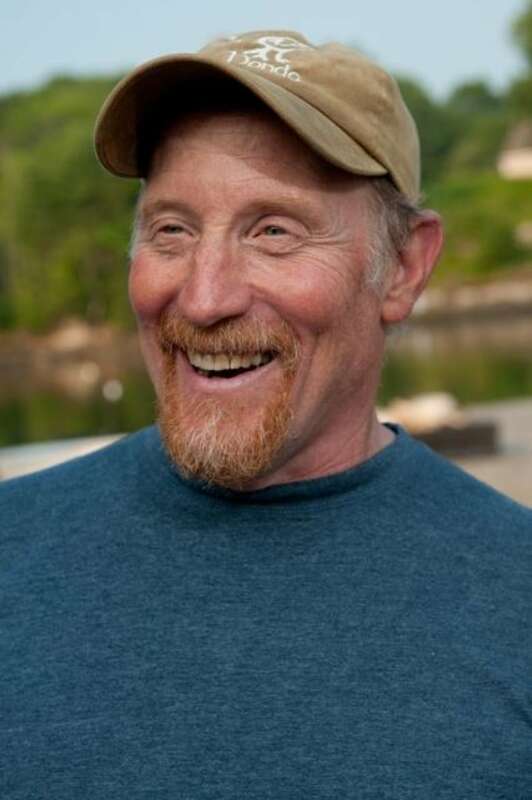 "I certainly wish them luck," said Bob Steneck, of the University of Maine's School of Marine Sciences. "They'll have to be very clever to figure out a way to do it and to be able to sustain the operation, especially a land-based operation. Those are always expensive." Steneck served for a time as a scientific advisor on Maine's Sea Urchin Zone Council, a board overseeing the wild sea urchin fishery. While there, he directly appealed to the state's Commissioner of Marine Resources to close the fishery, which has since collapsed from over fishing. Steneck says while the technology exists to farm-raise sea urchins, it's hard to find a balance between the volumes required to make a profit and the need to give the animals the space they must have to stay healthy and keep oxygen levels in the tanks from falling. Steneck says there have been five attempts to create sea urchin aquaculture industries in Maine and not one, so far, has been sustainable. Quoddy Savour Director Bill Robertson says a lot of research has gone into the project over the past year. The technology, he says, is becoming more common. "There is a market and there's plenty of interest in the product," said Robertson, who is a former exective director of the Huntsman Marine Science Centre. 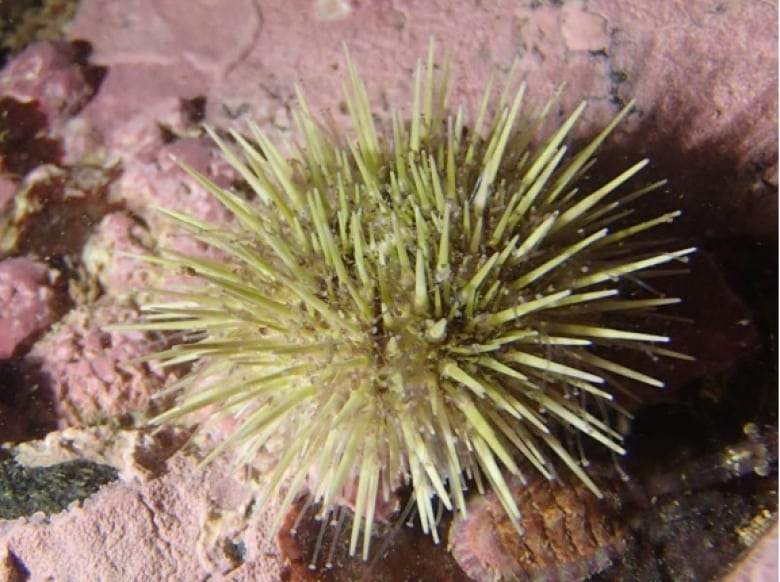 Green sea urchins are found in many areas of Atlantic Canada. In Maine stocks have collapsed from over-fishing. (Quoddy Savour Seafood Ltd.)Robertson says the plan is to grow wild-caught green sea urchins in a controlled environment. "Purchase them, and then increase their value by putting them in the saltwater tanks and feeding them so we increase the weight, and then taking them and selling them that way." Robertson says Quoddy Savour hopes to be in operation by this October when the wild sea urchin fishery in the Bay of Fundy opens. He expects the operation will eventually employ 10 to 12 people full-time. In a March interview with CBC, Ocean Scientist Patrick Gagnon of Memorial University of Newfoundland said he is optimistic such an approach can work. He's been growing sea urchins by feeding them in tanks as part of a pilot project. "They're improving the formula year after year," said Gagnon. "In 12 weeks you can potentially bring the [roe index in the urchin] from something like 10 percent up to 20-25 percent." Gagnon said increasing the temperature of the tank water by even a small amount above the wild environment has shown good results.